Are you looking for garage slatwall? 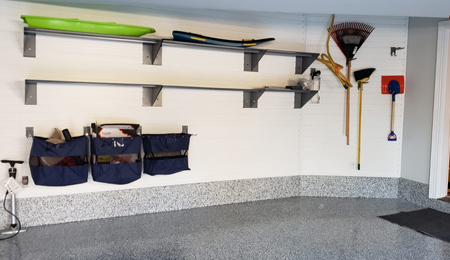 Potomac Garage Solutions provides selections and styles of garage slatwall that will compliment your garage organization project. We have installed many garage slatwall for residential and commercial garages throughout the Maryland, Virginia and Washington DC areas with professionalism, craftsmanship and great customer care. Since 2003, our expert garage professionals have been installing quality garage slatwall with precision and durable materials that are built to last. 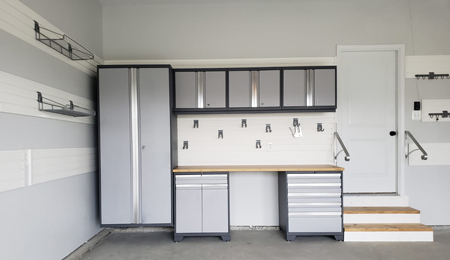 We provide garage slatwall in many configurations and color options to accommodate your unique garage renovation project. 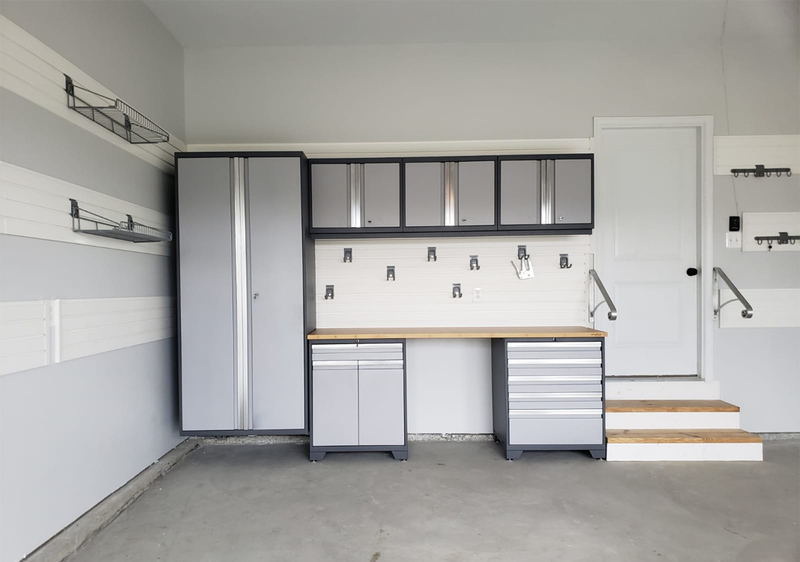 Our garage professionals have the experience and skills to transform unorganized, cluttered spaces into fully functional living spaces that meet your family and storage needs. 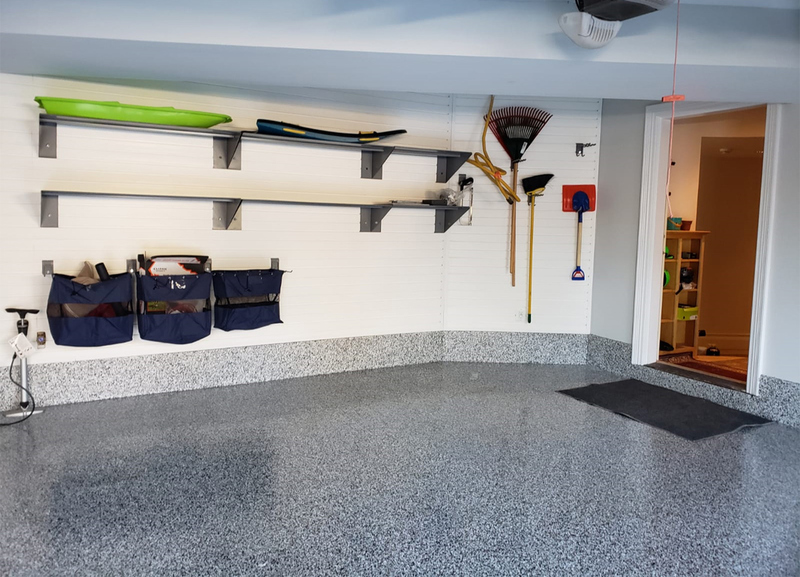 At Potomac Garage Solutions, we work tirelessly, use expert installation methods, and state-of-the-art materials to ensure our clients are fully satisfied with the overall outcome of their project. Potomac Garage Solutions uses only quality products with many functions. The garage slatwall that we install are fabricated with very strong materials that will withhold the toughest projects in your garage. The benefit of installing slatwalls in your garage are these panels can be expendable were you can and organize your garage space by hanging everyday items and tools anywhere on your garage wall for easy access. Our durable slatwalls are molded, and solid core were the color and finish will not fade or show any scratches. These garage slatwalls are available in metallic graphite steel, bronze, and various wood grains such as rustic cedar, global pine or a barnwood wood grain finishes that will compliment any garage theme or motif. Since these slatwall panels are made of waterproof material and can be easily cleaned. 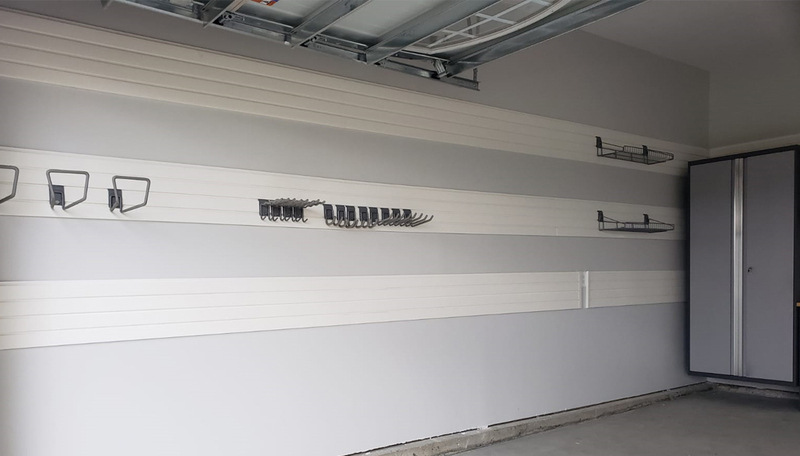 Our garage slatwall installation services included adding tough and durable metal shelving units. 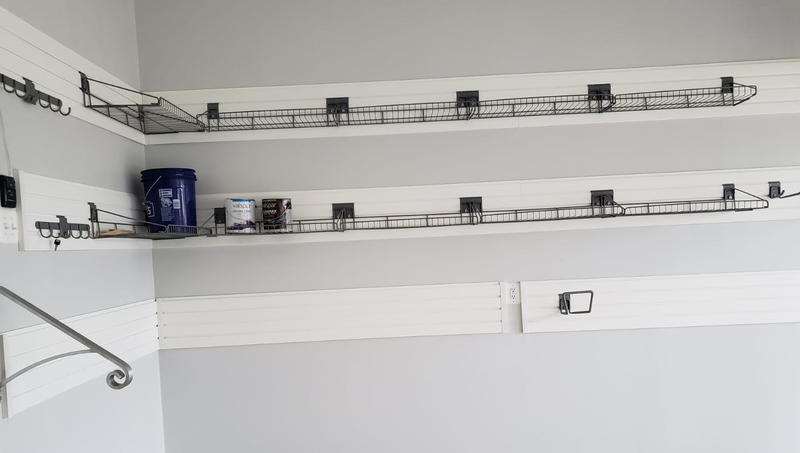 These Garage shelves are available in lengths of 30” or 48” and are constructed of solid industrial grade steel and coated with a heavy-duty powder finish. The metal shelf securely locks into place with backplates designed for our garage slatwall panels. These metal shelves will withstand years of use and abuse and will keep items of all shapes and sizes in one space. A steel reinforcement bar ensures the metal shelf will hold whatever you can lift onto the shelf. We also provide angle shelving that features a vented design that allows drip drying of wet or muddy shoes. The 30-degree slope ensures that any dirt or moisture is wicked away from the wall for easy cleanup. 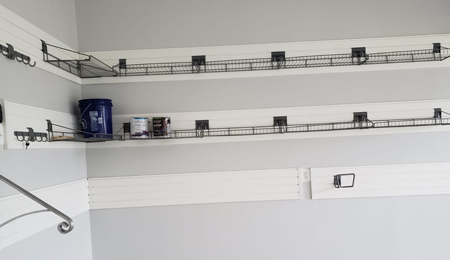 Our large wire shelfing provides enough space for storing a wide variety of supplies. Which is perfect for places where brackets cannot be used. A great place to store muddy boots and boxes off the floor. 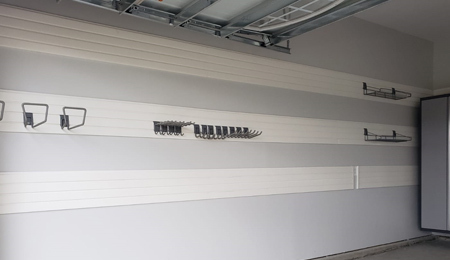 For more information about our garage slatwall, contact Potomac Garage Solutions today at 240-650-2622.